Since Sakura has found out her new classmate Button Mash loves video games like she does, they started hanging out together playing all kinds of games. 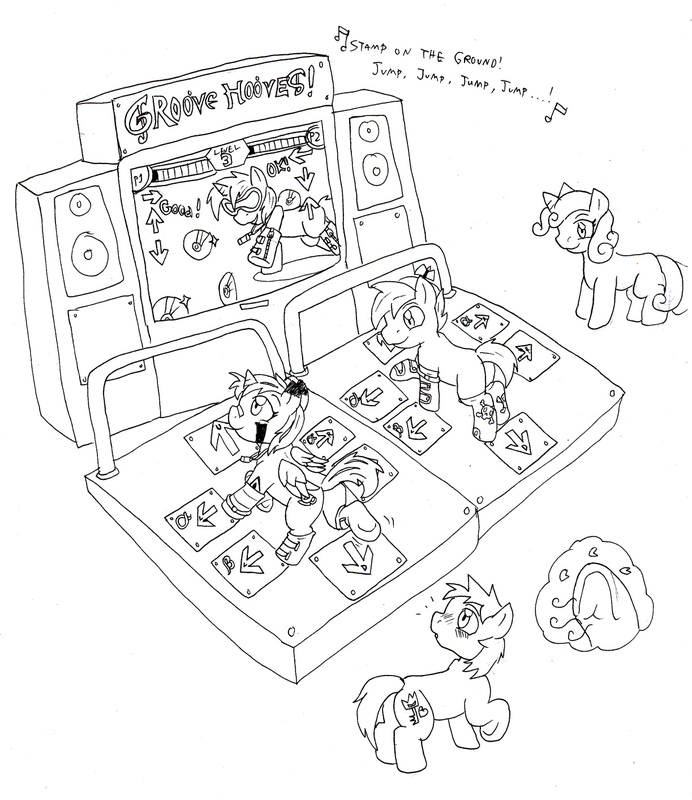 When the new "Groove Hooves" game was set up at the local arcade, they were the first to try it out. Of course, other foals got the opportunity to catch a glimpse of Sakura's hooves as she danced.